Ivan is the VP, Talent Acquisition at i4cp, a research organization that focuses on next practices in human capital for world-class organizations. He co-leads the human capital TA and executive search function for the firm, partnering with clients seeking progressive HR executives. 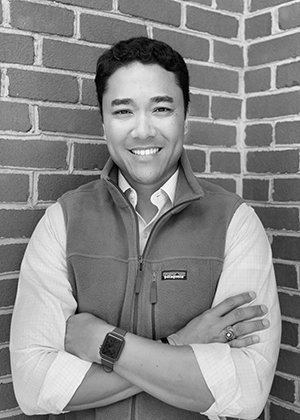 Ivan recently served as a Managing Director at Diversified Search based in their Washington, D.C. office. He partnered with clients seeking senior-level executives within various functions to include Human Resources, General Management, Finance, Legal, and Sales & Marketing within Life Sciences, Industrial Manufacturing, Technology, Consumer, and Nonprofit. He also served as a Partner within Hanold Associates, a retained HR executive search firm, and as an Executive Recruiter at Heidrick & Struggles, a global top-three retained search firm. A proud veteran and former Captain in the Air Force, Ivan served two tours in Afghanistan as the Chief of Intel for Combat Rescue supporting the International Security Assistance Force during Operation Enduring Freedom. Ivan also served a third tour in Afghanistan supporting DCMA for NATO during Operation Enduring Freedom. He lived in Japan and throughout the United States during his tenure in the Air Force. He recently served on the Board of Directors of The Soldiers Project, a 501(c)(3) nonprofit that provided mental health services to post-9/11 veterans and their loved ones. Ivan enjoys coaching local youth sports with his wife and three children. He and his family are die-hard Chicago Cubs fans living in a sea of Washington Nationals fans. Ivan graduated from the US Air Force Academy with a BS in Management and from Northwestern University with an MS in Organizational Communication.